What Grit is and Why It Matters - this section covers the definition and discussion of the core concepts, including how grit compares to talent. Growing Grit from Outside In - this section covers the environmental factors influence grit, with special focus on parents and employers and what they can do develop grit in the individuals with whom they have a fiduciary relationship. 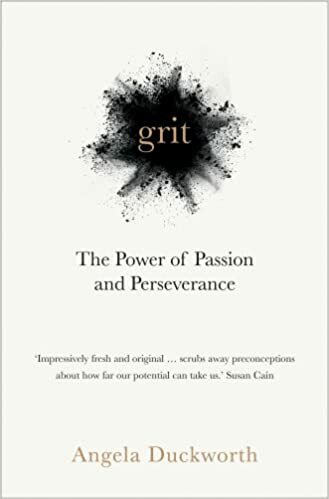 Like most of the recent books on our site, Grit is a book written by a leading expert on the topic of the book. That being the case you get an excellent view on what it is and how you can use it. It gets a Green because it is relevant to the lives of all of us, and has actionable tips which are easily applicable, while still being easily readable, and not very boring. One point of caution though - the author seems to be too sold out on Grit and doesn't seem to balance all the elements that cause success, properly. It is well-known that barely a fraction of people who work hard achieve phenomenal success. It seems, as much as Angela detests her former employer McKinsey, she's picked up the communication style - pushing through uni-directional views; understandable for McKinsey, as it is in business, where any ifs and buts would cause confusion. However, when you are writing a book that people may use to make changes to their lives, it is not pardonable.